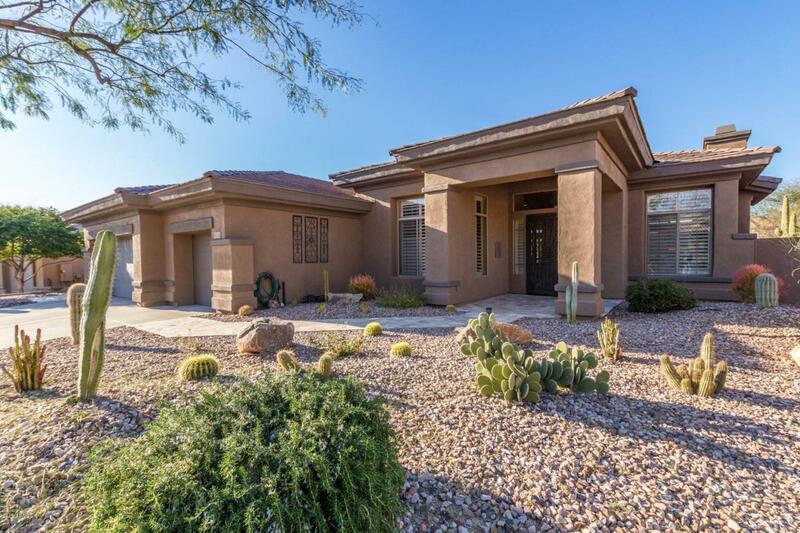 Beautiful Anthem Country Club Home, situated on a large lot, North/South orientation, with open view fencing. 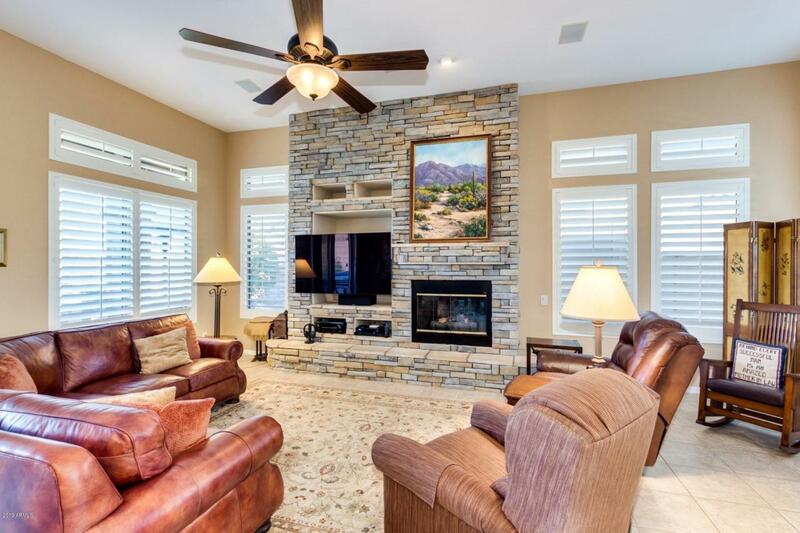 Perfect for entertaining in the oversized Great Room with cozy stacked stone gas fireplace. The Gourmet kitchen has granite counters; stainless steel appliances, and a newer 5 burner gas stove top. 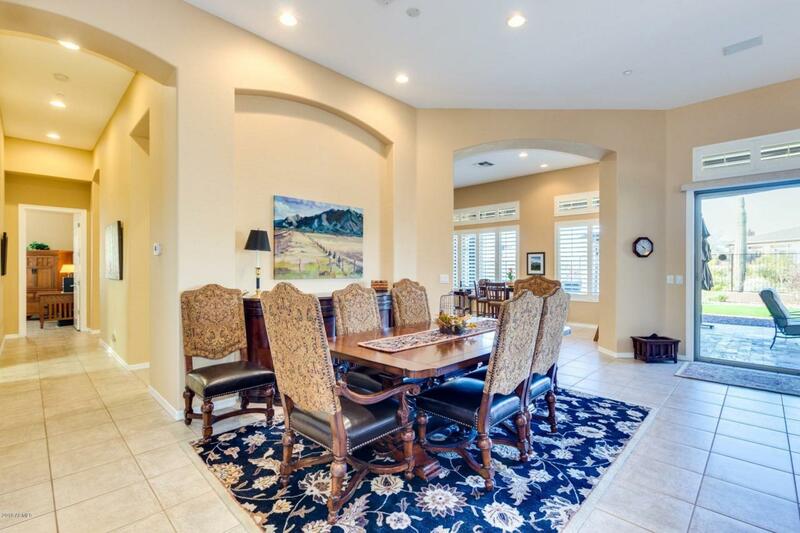 The Master Suite is a luxurious retreat, with open views to the back yard and entrance to the huge covered patio. Master bath has a large walk-in closet; soaking tub, and separate shower. Guest bedroom has en-suite bath for privacy. Plantation Shutters thru-out. 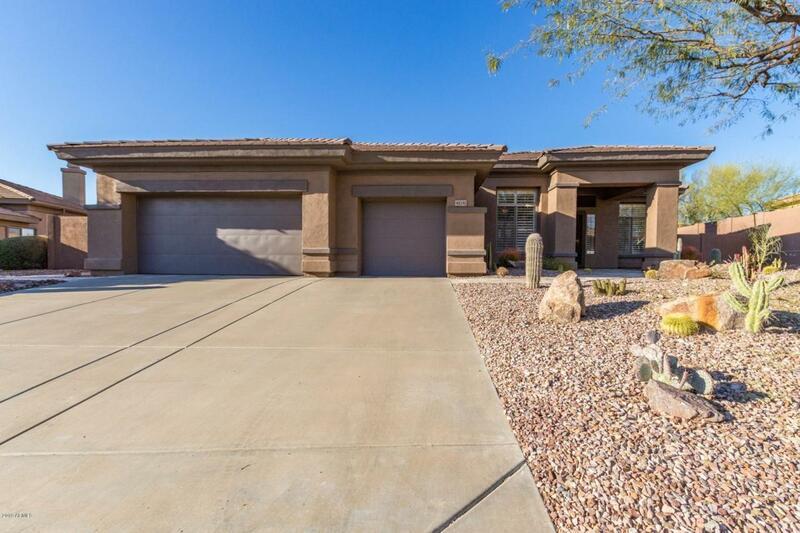 Backyard w/Travertine Patio & walkways, Gas Fire pit; Faux Grass & Built-in BBQ. New Roof in 2018; New A/C Units in 2017; 2016 Water Heater & Water Softener. 3 car garage w/epoxy floor.